It’s been more than a decade since Rebecca Miller’s harrowing directorial debut, Angela (2015), and although her subsequent films (Personal Velocity, The Ballad of Jack and Rose, The Private Lives of Pippa Lee) have more or less remained in the realm of somber drama, Maggie’s Plan explores lighter territory. Without meaning to attach a negative stigma to the genre, it almost feels wrong to call this latest effort a rom-com. 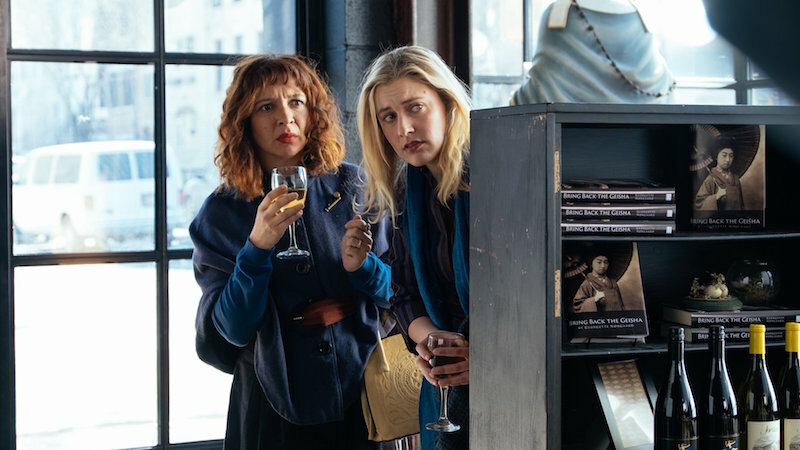 As highlighted by the eponymous Maggie (Greta Gerwig) when she reviews her prospective lover’s novel in the works, which satirises the movie’s events in meta fashion, this is more of a modern screwball comedy. 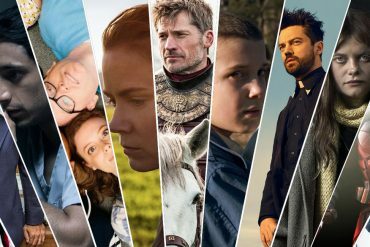 The cast should already be enough reassurance that you’re not signing up something typical of the genre, with indie queen Greta Gerwig leading an ensemble that includes Ethan Hawke, Julianne Moore, Bill Hader, and Maya Rudolph. What more could you ask for? Gerwig’s (Frances Ha, Mistress America) Maggie is at a crossroad in her life, convinced artificial insemination’s her only option because of a string of failed relationships. But life has other plans for her. Just when she’s secured her donor, in the form of Guy (Travis Fimmel)—a high school acquaintance and mathematician now running a pickle business—Maggie meets John (Hawke), an anthropology teacher at the university where she works. Their encounter turns into friendship and when John asks Maggie to read the first chapter of the novel he’s desperately trying to write, her enthusiasm, and encouragement, has John fall in love with her. 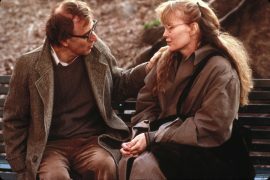 There’s only one complication—John’s married with kids, and despite his careerist wife Georgette (Julianne Moore) having made his life miserable, Maggie’s not enthused by the idea of becoming a homewrecker. As they get closer, John confesses his love for Maggie, who reciprocates, glowing at the idea of having the child of someone she loves instead of getting inseminated by ‘pickle man’. Gerwig is perfect at playing a by-the-book girl who means well, and although cynics may argue she’s being herself on film, I beg to differ. Having recently seen her in several titles—whether those she co-writes with her life partner, director Noah Baumbach, or those from other filmmakers she just stars in—Gerwig possesses great nuance. Her love triangle with Ethan Hawke and Julianne Moore is a match made in cinematic heaven, and Miller gifts them some extremely poignant and hilarious material. It’s a pleasure to watch this mature period in Hawke’s career, an actor of rare sensibility and intellectual acumen who only gets better as he ages. 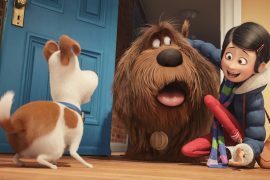 And, of course, Moore can do no wrong, with the Oscar-winner delivering some of the funniest moments thanks to her hilariously pretentious Swedish accent. The film’s real highlight is Warcraft star Travis Fimmel, who proves you can do so much, no matter how little your screen time, by nailing goofy Guy’s inner vulnerability. Rebecca Miller retains a solid and distinct voice, and, given the need for more female filmmakers, I only wish for a shorter hiatus before her next project. 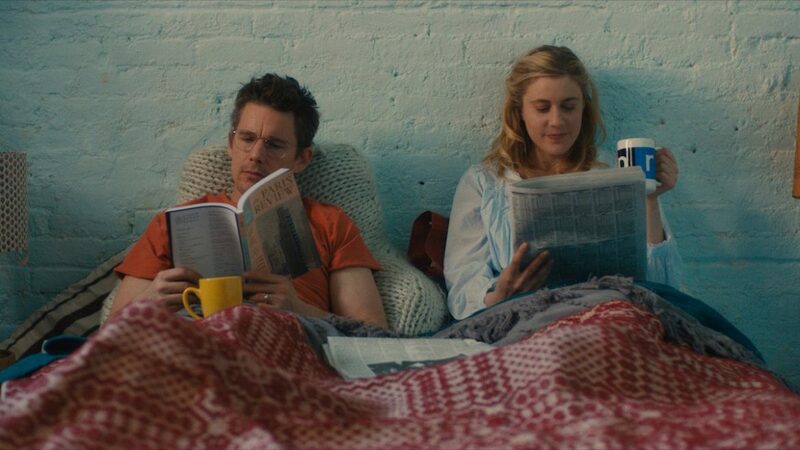 Despite the movie’s twist being very predictable, Maggie’s Plan is an enjoyable story that asks delicate questions about the volatile nature of love and its implications in our lives. writer: Rebecca Miller (story by Karen Rinaldi). starring: Greta Gerwig, Ethan Hawke, Bill Hader, Maya Rudolph, Travis Fimmel, Wallace Shawn, Ida Rohatyn, Monte Greene & Julianne Moore.